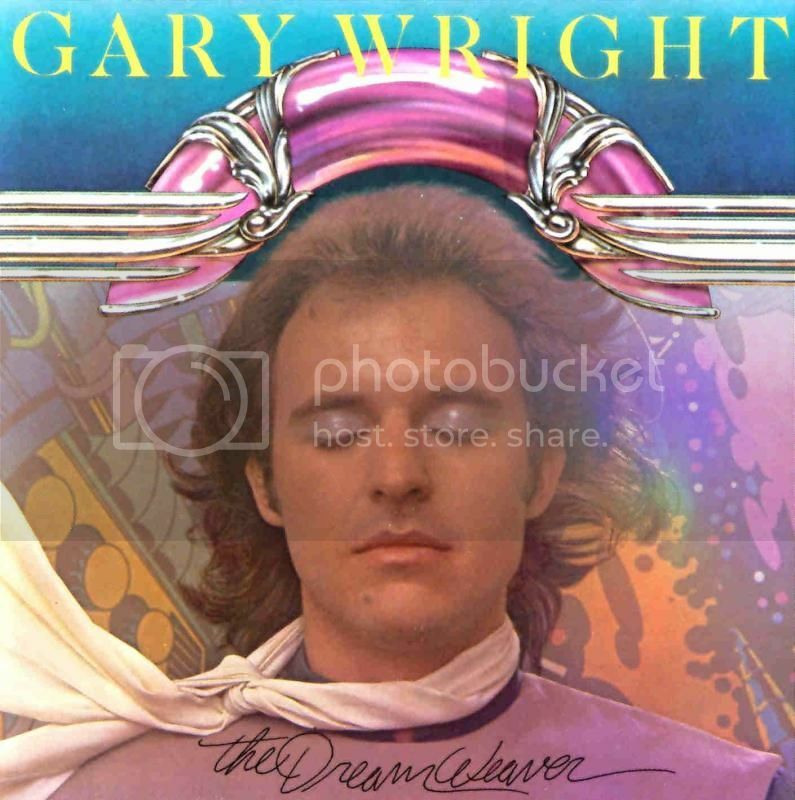 Gary Wright's The Dream Weaver stands as a slice of 1970s soft rock. Singer/guitarist Gary Wright initially made his mark as a member of 60s band Spooky Tooth, then became the go-to studio guy for such artists as George Harrison and Ringo Starr. Finally signing a solo deal with Warner Bros. Records in 1974, he next released what would be his most successful album: 1975's The Dream Weaver, which spawned the massive hit single "Dream Weaver." That song has become synonymous with 1970s rock and remains a staple of classic rock radio. Audio Fidelity, which issues remastered CDs covered with 24 karat gold, recently released a enhanced edition of The Dream Weaver, which should appeal most to Wright fans. However, Wright's album stands as a relic of 1970s rock and as early experimentation with all keyboard instruments. According to Wright's website, The Dream Weaver featured "the first-ever all keyboard/synthesizer band" and pioneered "technologies in cut down versions of synthesizers and drum machines that revolutionized the musical instrument business and changed the sound of pop, rock and r&b forever." Since then, sites such as AllMusic have debated that statement, although all agree that Dream Weaver certainly represents one of the earliest all-keyboard albums. In addition, some guest musicians such as Andy Newmark and Jim Keltner (drums), and David Foster (guitar, organ, and strings) did play real instruments on some tracks. Still, the album remains impressive for making synthesizers have a warm sound. It is easy to see why the title song became the hugest hit from the album. The swirling keyboards frame the somewhat mystical lyrics perfectly. "Fly me away to the bright side of the moon/ And meet me on the other side," Wright quietly sings, the cascading sound effects creating an otherworldly aura. One cannot help but sing along to that "earworm" chorus that sticks in the brain: "Dream Weaver/ I believe you can get me though the night." Other tracks exemplify what would become the radio-friendly label "soft rock," which first came into prominence in the mid-1970s. Wright clearly has a talent for writing a memorable hook, as evident in "Power of Love," which features a catchy bass riff that drives the uptempo song. "Can't Find the Judge" leans toward R&B, although the chorus closely resembles Ann Peebles' 1974 hit "I Can't Stand the Rain." "Love Is Alive," the second single, also has a soulful feel—it even cracked the Billboard R&B charts—but still fits nicely into the soft rock category. His blue-eyed soul vocals on "Much Higher" sounds as if would have been perfect for Steve Winwood's Arc of A Diver album, except that this track precedes that album by five years. Wright previously worked with Winwood (including opening for Traffic in 1967), and Wright's vocals reflect the British rock/R&B singer's influence. The album closer, "Feel for Me," contains a similar bass line to "Dream Weaver," but allows Wright to break out his rock voice for a power ballad-like performance. The song gradually builds to an almost gospel-like crescendo, with some bluesy keyboard licks. Obviously the "all keyboard" claim doesn't hold the same groundbreaking resonance, as many artists today utilize all electronic instruments to record songs. Stevie Wonder, Herbie Hancock, and New Romantic group the Human League famously charted hits with their no "real" instruments material. For 1975, however, The Dream Weaver stood out for its keyboard-heavy tracks. Today, the album serves as a slice of 1970s soft rock as well as the pinnacle of Wright's career. Fans will enjoy engineer Kevin Gray's remastering of The Dream Weaver, and Audio Fidelity's 24 karat coating clarifies every nuance of Wright's vocals.